Aeroflot has taken delivery of an Airbus A320, according to State Transport Leasing Company (GTLK), which supported the transaction through its subsidiary, GTLK Europe. The Airbus A320-200 (tail number VP-BJY, MSN 6963), delivered straight from the manufacturer, is equipped with CFM56-5B4/3 engines and Sharklet winglets. The aircraft is fit with 8 seats in business class and 150 in economy. In 2016 Aeroflot expects to receive seven A320s through GTLK Europe, while Chinese CMB Leasing is also taking part in financing the deal. 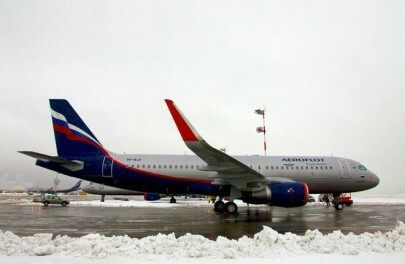 GTLK explains that it is developing partnerships with Asian financial institutions to “diversify funding sources, which is the company’s primary task under current economic conditions.” Access to financial resources is what enables the Russian lessor to offer attractive terms of aircraft leasing to its customers, the company’s spokesperson emphasized. At the beginning of 2016, GTLK had 58 aircraft in its portfolio, and the total amount of its investment in Russian commercial aviation reached 90 billion rubles. According to Aeroflot’s recent data, at the end of 2015, Russia’s largest carrier operated 63 A320s. It is intending to take delivery of nine aircraft of this type throughout 2016 and at the same time phase out six. In 2017, it will get 11 A320s and phase out 7, in 2015 – 10 and 15, respectively. Aeroflot doesn’t have plans to receive A320s in 2019, but will phase out ten aircraft of the type. Aeroflot Group, consisting of the parent Aeroflot Airlines and its subsidiaries, operates a fleet of 268 aircraft—out of them, 165 are operated by Aeroflot itself. In 2016, the fleet will expand by 38 aircraft, large gains compared to one aircraft in 2015. Besides the A320, the carrier will get 13 A321s (and phase out three), one A319 (phasing out two) and nine Boeing 737s (phasing out eight). The wide-body fleet will be expanded through the delivery of 14 Boeing 747s formerly operated by Transaero and seven Boeing 777s (one will be phased out). Aeroflot Group also intends to complete the program of expanding its regional fleet with Sukhoi Superjet 100s, the order for which it placed earlier. As a result of the expansion, the number of SSJs in Aeroflot’s fleet will reach 30. Three aircraft have been delivered so far this year, and three more will be delivered before the year’s end. However, Aeroflot’s general director Vitaliy Saveliev has mentioned recently that the carrier was ready to place another firm order for 20 SSJ100s, which may be delivered in two equal batches in 2017 and 2018. Aeroflot’s subsidiary Aurora, which operates in Russia’s Far East, also plans to refresh its fleet in 2016. The carrier has received one Q400, will get two more turboprops of the type and phase out three aircraft of earlier modifications, Q200/300.